Whether you are diving in the clear waters of the Caribbean or in a nearby lake, your human eye needs some visual assistance via a quality dive torch. 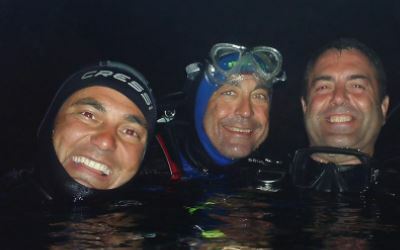 Unless you are engaging in deep water diving, the best visual aid is a basic lake dive light. These nifty pieces of diving equipment could be the difference between a worthwhile dive and a total waste of time. However, there are a few things to keep in mind before buying lake dive lights. If you look at the product reviews on various retailers, one thing is clear – the highest rated dive lights are not always the most expensive. When making a purchase, do some research on the best recommended dive lights. Tonelife wins when it comes to quality and price; however, lights from Evolva Future Technologies are also a good choice. You don’t want your dive light bailing on you while on an actual dive, so take it for a test dive in a swimming pool. The problem with lower-quality diving lights is that they react differently to different situations. You can eliminate some level of uncertainty by doing a simple simulation. Choose a lake dive light that lets you easily adjust its light intensity. Some nocturnal animals do not like unfamiliar beams of light. Products from Tonelife and Tovatec come highly recommended when it comes to utility and flexibility. While shopping for dive lights, ensure the depth at which it can hold its waterproof feature is ideal for your purposes. ORCATORCH offers products that work for your average lake depth. When shopping for dive lights, the features of the product act as your guide. Instead of choosing a light by what it can do, filter them out by what they can’t do. The light with the highest number of capabilities is the best. Do I Need a Dive Light for Daytime Dives?